Replacement Windows – New Jersey Siding & Windows, Inc.
It’s likely been a while since you’ve replaced your windows. And while it might not seem like a pressing matter, technology has progressed rapidly in recent times, giving way to new and improved window configurations that not only bolster curb appeal, but also help ramp up your home’s energy efficiency and more. If you’re seeking new replacement windows and professional installation services in Northern and Central New Jersey, rely on the award-winning expertise of New Jersey Siding & Windows, Inc.
To best serve the needs of our service area, we’re proud to provide customers with state-of-the-art window products, including Soft-Lite windows, which are produced through a strict manufacturing process to ensure reliable performance. Efficiency: One of the most notable characteristics of today’s windows is that they’re often optimized for energy efficiency, and Soft-Lite is no exception. These windows boast ultra-tight seals and double or triple panes to keep your home’s interior as comfortable as possible. Security: Fusion-welded seams and durable locks help Soft-Lite windows provide an additional level of home security. 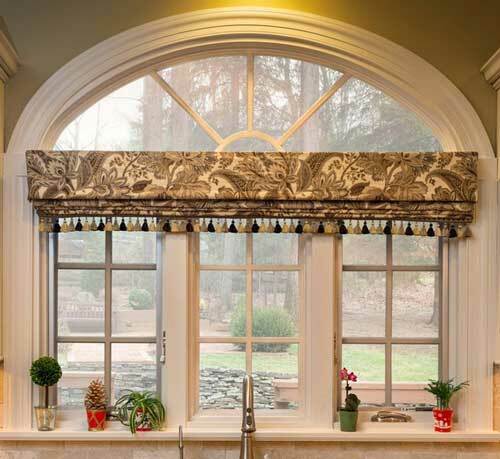 Beauty: Our team of replacement window installation experts is prepared to install a wide range of window styles, from the ever-popular double-hung style to more complex options, such as bay and garden windows. Once you’ve decided to purchase replacement windows with New Jersey Siding & Windows, you’ll have the opportunity to choose between vinyl, wood and composite windows, and each offers a unique array of benefits. Vinyl: Vinyl windows are very popular for their versatility, budget-friendly pricing and low maintenance demands. Wood: More maintenance-heavy than other options, wood siding nonetheless remains well-loved due to its uniquely stunning look. For professional window sales and installation services in Morristown, Randolph and other communities throughout Northern and Central New Jersey, turn to New Jersey Siding & Windows, Inc. Fill out our online form for a free estimate, or contact us by phone at 973-895-1113 to discuss your replacement window needs. Vinyl windows are the answer for those looking for energy efficiency and savings for their home. The construction of a vinyl window frame, which has a honeycomb-like interior, allows for additional foam insulation, improving the overall performance of the window. The joint on the window frames are fusion-welded, as opposed to being joined by screws or fasteners, which also improves performance and durability. Vinyl windows also come in a myriad of colors and wood-laminate finishes, matching the tastes of any homeowner. The Imperial LS window by Soft-lite, a New Jersey Siding & Windows exclusive, is unmatched by any other window in terms of performance, with the AAMA rating and hard data numbers to back it up. 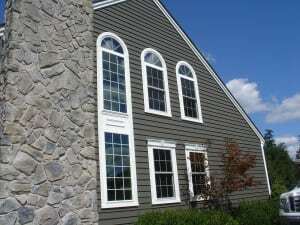 To find out more about the vinyl windows offered by New Jersey Siding & Windows. Composite windows provide an alternative option to older all wood windows, while retaining the function and relative efficiency that new technology brings. For those who want real wood interior for aesthetics, New Jersey Siding & Windows has different options to match your style. The construction of the composite frame allows for more glass, increasing viewing space as well. While not quite as efficient as vinyl, composite windows still perform quite well. Some composite windows are made from recycled materials making them an environmentally choice. The other green aspect of composite windows is that their frames are easily recycled, reducing your burden on the environment. The only drawback is the maintenance of the windows. They will need to be painted or stained occasionally to maintain their look. 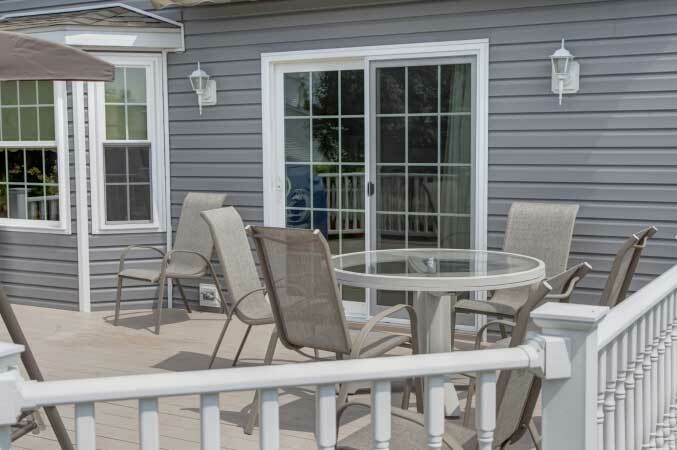 New Jersey Siding & Windows has a various offerings in the composite window to compliment any home remodel project. To find out more about the composite windows offered by New Jersey Siding & Windows contact us now.